Born in Kingston, Jamaica in 1991. Adreyn began honing his voice at an early age in kingston, but it wasn't until his move to London, uk in 2001 where his dreams of becoming a musician became reality. raised in South London Adreyn PURSUED singing and began writing songs at the age of 8. Adreyn calls himself an alternative soul musician as he grew up listening to multiple genres such as Pop, Rock, Rnb, Gospel and Classical. He graduated with a degree in Commercial Music from Canterbury Christ Church University and has performed on multiples stages across London and performed at the O2 arena supporting Dionne Bromfield 2009. Adreyn has worked with mainstream acts such as 169 (known for his work with Santan Dave, DRAKE and ‪Craig David‬). In 2017, Adreyn became a prominent public figure based on his presence on the breakthrough British Youtube debate-show Bkchat London, which has allowed him to use his platform to host speeches on topics such as: issues with colourism (held at the Royal Holloway University of London), the effects of social media on today’s millennial, world culture and politics. He has spoken on many online platforms such as BBC 1Xtra with Reece Parkinson, Pulse 88 radio, Reprezent radio. In 2018, adreyn released 'Angels's lie,' where he states: “This song is about the loss of innocence in terms of lustful love, there was no outcome for the relationship. We both went into the relationship innocent and ended up hurt.” Adreyn continues to discuss, “Angels are innocent and pure creatures that’s how we both went into the relationship, we both made promises we couldn’t keep and promised to never let go. Both of us were angels and both of us lied.” angel's lie was debuted on 1xtra, featured in Spotify's official "fresh finds" playlist and their "R&B UK" playlist, and had gained over 60,000 streams on spotify alone. adreyn is set to release his sophomore ep: "Illusions". 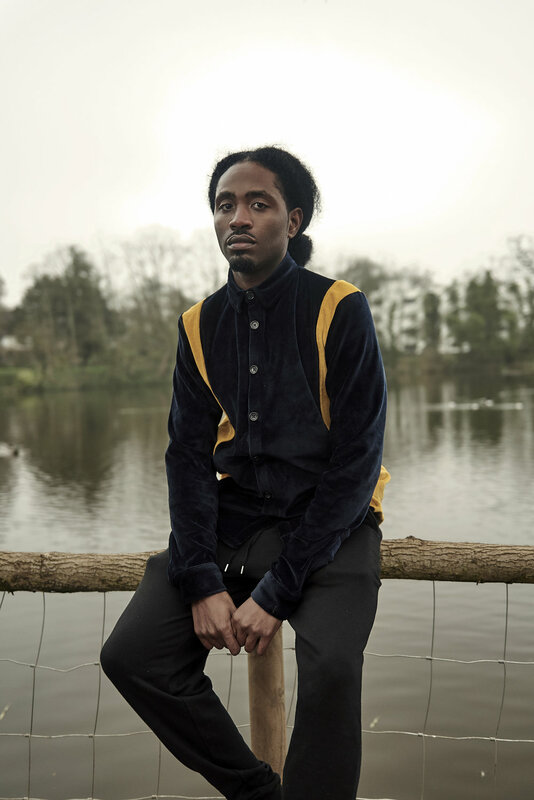 with such a bright start to his career adreyn has proven himself to be the uk's most promising new act.